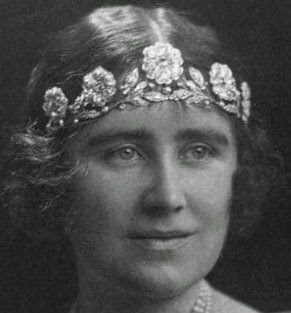 Creation: This tiara was made in the late 1800s and in 1923 it was bought from Catchpole & Williams by Claude Bowes-Lyon, 14th Earl of Strathmore. It has two different frames so that it can be worn either on top of the head or across the forehead. The roses can be worn as brooches and are interchangeable on the tiara with five single sapphires. 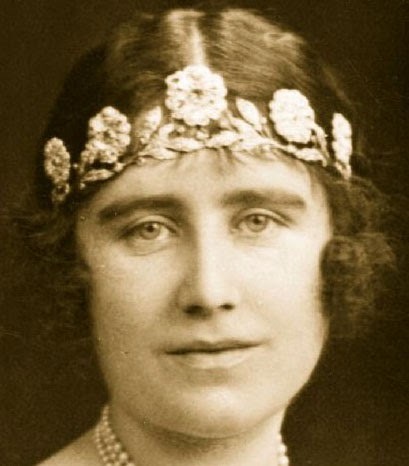 What is this tiara provenance prior to Queen Elizabeth? 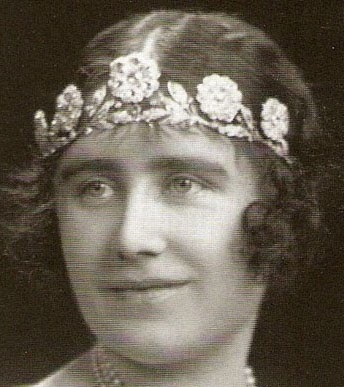 this tiara is almost identical to one owned by a Duchess of Portland. 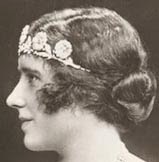 Queen Elizabeth's mother was Cecilia Cavendish-Bentinck a descendant of the aforementioned duchess.